When it comes to car racing video games, the Forza series has quickly become one of the best games out there. With the release of Forza 6, racing fans are wondering if they should invest in the new version or stick to the popular Forza Motorsport 5. If you are on the fence, this review should help you make up your mind. 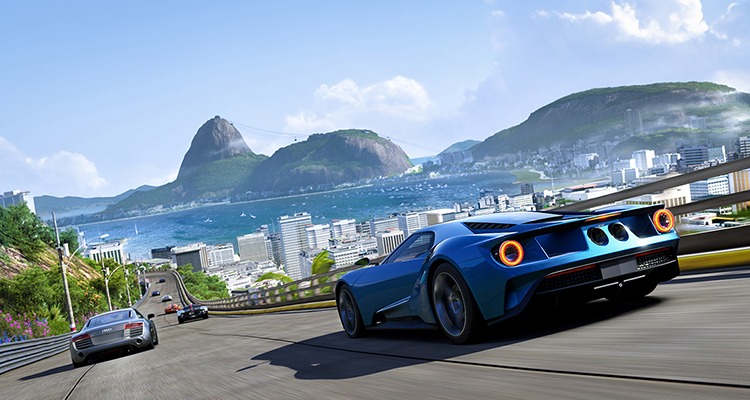 When you load Forza Motorsport 6, the first thing that jumps out is the game’s graphics. Microsoft did a good job improving the graphics in this version, giving you a more realistic gameplay. It also makes the cars look so good that you wish you had one of your own. As with the other versions of Forza Motorsports, you get to choose from a variety of sports cars for your races, each with its own strengths and weaknesses. You also get to customize cars you would never attempt to enter a race in, and you will be pleasantly surprised to see yourself winning a race against premium sports cars while driving a station wagon. When it comes to the racing itself, Forza Motorsport 6 gives you a very realistic sense of actual racing, because you get to race in adverse conditions like heavy rain. Racing in the rain is just as difficult as you would expect it to be in real life, your visibility is limited, and you have to be careful about how fast you are going, especially when handling corners, because if you hit a puddle at a high speed, you are likely to lose control of your vehicle. Forza Motorsport 6 also has night driving, which can be just as difficult. You can barely see what is in front of you when racing the pitch black Mulsanne Straight at Le Mans, which means you have to be very careful on those tracks. You also have to deal with the shadows from other cars when you are racing on the artificially lit Daytona track, which also makes the race a little more difficult than expected. The car handling in Forza Motorsport 6 is very realistic and also very fun. The sound effects are great because every engine has its own sound, which is a feature that a lot of racing games tend to ignore. It makes the game more realistic, especially if you are a car enthusiast that appreciated the difference between a Ferrari’s engine and a Formula 1 race car engine. When it comes to car racing games, Forza Motorsport 6 has set the bar pretty high for competitors. It is definitely an impressive upgrade on the Forza Motorsport 5, the only complaint I have about it is that it is only available on Xbox One.